Quick one today. Just a few tips and tricks to up your game in the kitchen, beginning with number 1 (above), The Tomato Can Pizza Stand. Backstory: There were exactly two days this past summer when the kids’ sleepaway camps overlapped. And on those two nights, we ate well. 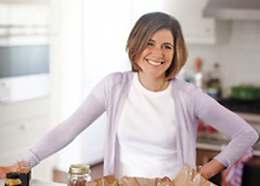 One night we cooked at home and made Scallops with Corn and Bacon Hash (DALS owners, page 28-29) notable for the hyper-freshness of the sea scallops and for being a meal based around a seafood that neither of our daughters would ever touch. On the other night, we went out to a favorite Westchester haunt, Fortina (good news locals: there’s now one in Yonkers) where they spoiled us with generous martinis, spicy pastas, and truffled pizzas. 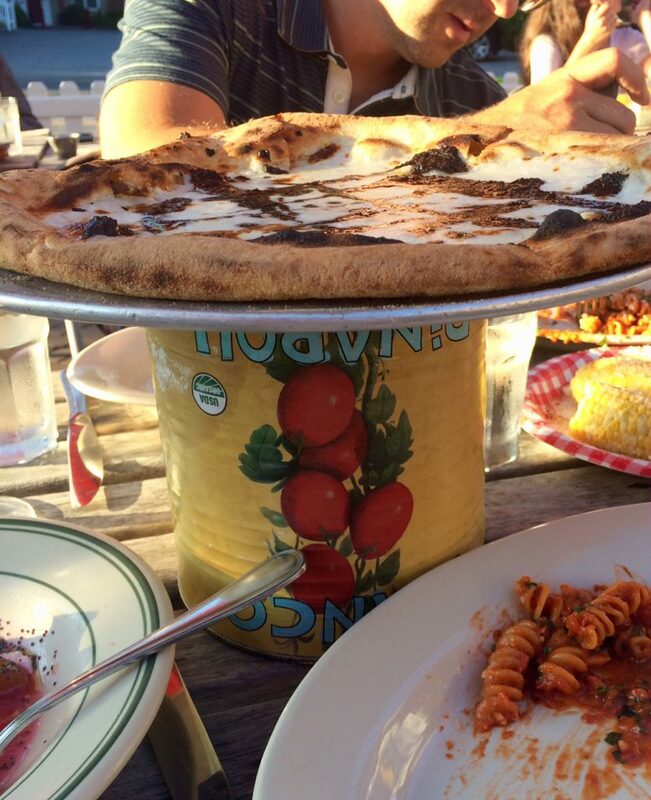 That pizza sat atop this giant can of tomatoes, a space-saving idea I thought was clever enough to pass on to DALS readers entertaining a large group at a crowded table. Cute, right? Start saving those tins. 2. The Jammy Egg Breakfast I’ve been in and out of the Bon Appetit offices this summer, filling in for an editor who is on maternity leave, and, as you might expect, I’ve picked up a few things in and out of the kitchen, i.e. where to eat in both Montreal and Durham, how to cook quinoa to perfection, what pairs best with a grassy olive oil, to name just a scant few. Last week, though, I was editing a story for the November issue that must’ve mentioned the term “jammy egg” (BA speak for “7-minute egg”) seventeen times in three pages. I remember these being a thing when everyone was first discovering homemade ramen, but I hadn’t ever actually attempted one. 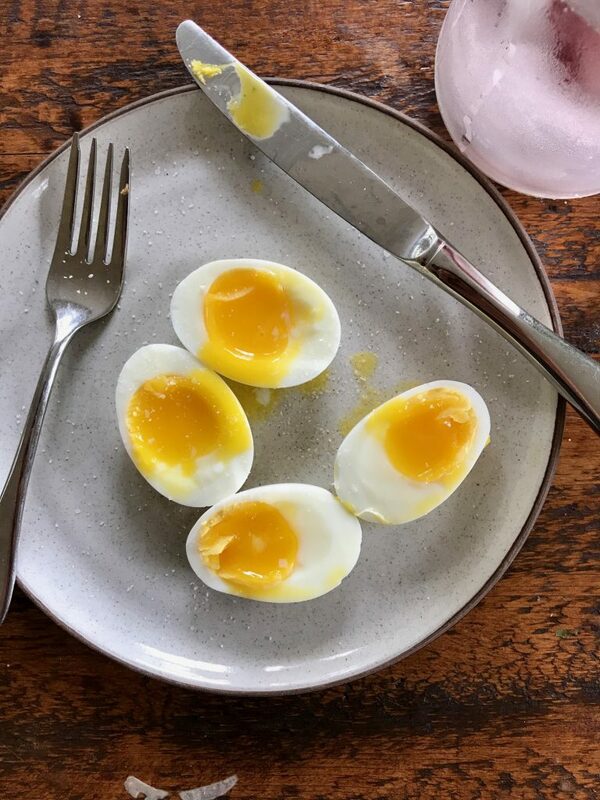 So the following week, when I was working from home again, I woke up, went for a run, poured myself a cup of cold brew, and set to work following Amiel Stanek’s and Chris Morocco’s very precise instructions for creating the Jammiest Soft-Boiled Egg ever. Wowowowow. Gorgeous, warm, almost-buttery yolks, and tender whites with no weird filmy stuff going on, they were mind-blowing. And they were mind-blowing the next morning and the morning after that, too. Technique, my friends. It’s real. 3. New Avocado Toast Trick A few weeks ago, I met a friend for coffee at Boro6, a newish wine bar in my neighborhood that also offers a beautiful breakfast menu, which includes, of course, avocado toast. As you know, hardly a day goes by that I don’t have some version of this sandwich, but when I first tried Boro6’s take, I couldn’t put my finger on why it was so much better than the one I make at home. So when I was in my kitchen a few days later, toasting my artisanal loaf and mashing my avocado with salt, I texted one of the co-owners of Boro6, Jen Aaronson. “What exactly is it that makes your avocado toast so much better than mine?” The response came in under ten seconds. “A schmear of coconut oil on the toast, while it’s still warm.” Now we know! 4. Som Drinking Vinegars As you may have read back June, it’s been a little over two years since we’ve given up weeknight drinking in our house, and in those two years we’ve learned a thing or two about evenings when we are more susceptible to giving in to the vodka tonic or rose or whatever pretty drink we happened to scroll by on instagram during cocktail hour. (Lesson #1 being, of course, Don’t look at instagram during cocktail hour; followed closely by Lesson #2, Don’t read the Presidential twitter feed ever.) 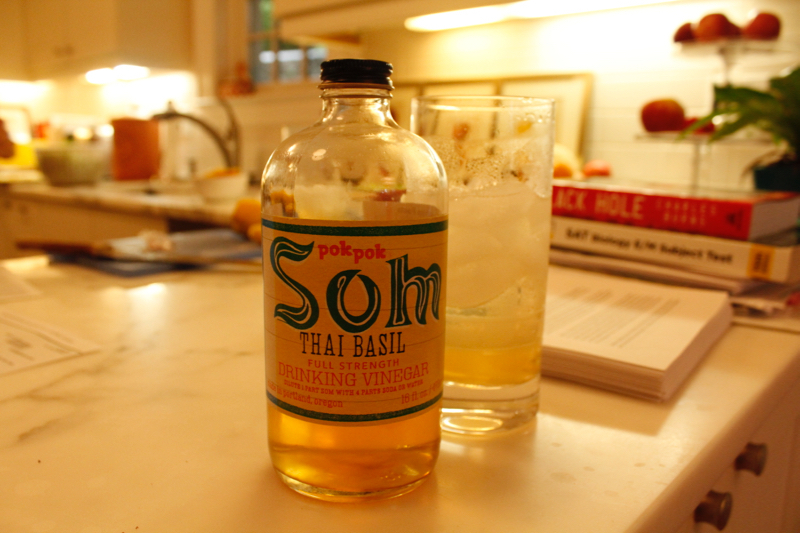 One strategy that seems to most routinely thwart our cravings is having a stash of PokPok’s drinking vinegars on hand. They’re a little pricey, yes, but you only need a splash stirred in with ice and seltzer to concoct a shrub. (You can also do this with Bragg’s cider vinegar, a trick I learned from Bon Appetit a few years ago.) I love the shrub for its refreshing tang, but I think mostly I love it because it satisfies my ritualistic craving to physically fix a drink. Favorite flavors: Pomegranate, Thai Basil, and Ginger. 5. All-Purpose Kid Elixir I’m not sure when I discovered the power of the French-fry-and-a-milkshake ritual. Maybe it was at Shake Shack after a demoralizing defeat on the soccer field. Or maybe it was at SmashBurger after a triumphant soccer victory on the soccer field. 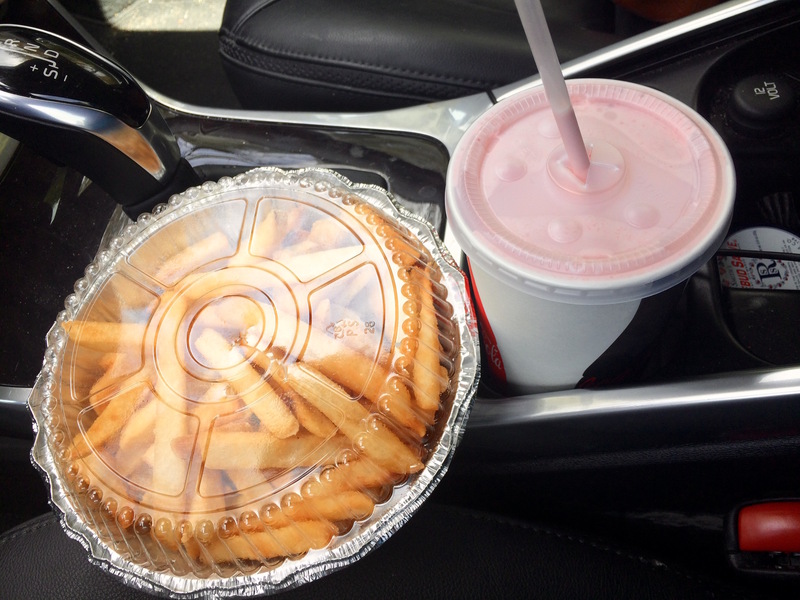 Could’ve also been that day I had to deliver some bad news at pick-up, so figured it wouldn’t hurt to have some diner take-out waiting in the front seat of the car to maybe make that news go down a little easier. (Is that why they call it a console?) I can’t pinpoint the exact science behind this statement, but something about the chemical reaction that occurs when eating hot a French fry with a cold milkshake (preferably strawberry, sometimes one dipped in the other) generates the power to sooth, lift, fete, salve, and fill…in all senses of the word. Give it a try. Love the 6 and a half minute egg! It has been my go-to this summer. Here’s one technique-y thing I think BA leaves out. Does the egg start refrigerator cold or room temp? Does it matter? Seems it should, no? I scrolled down past the video to the step by step slideshow and there it states to start with cold eggs right from the fridge. Enjoy!! 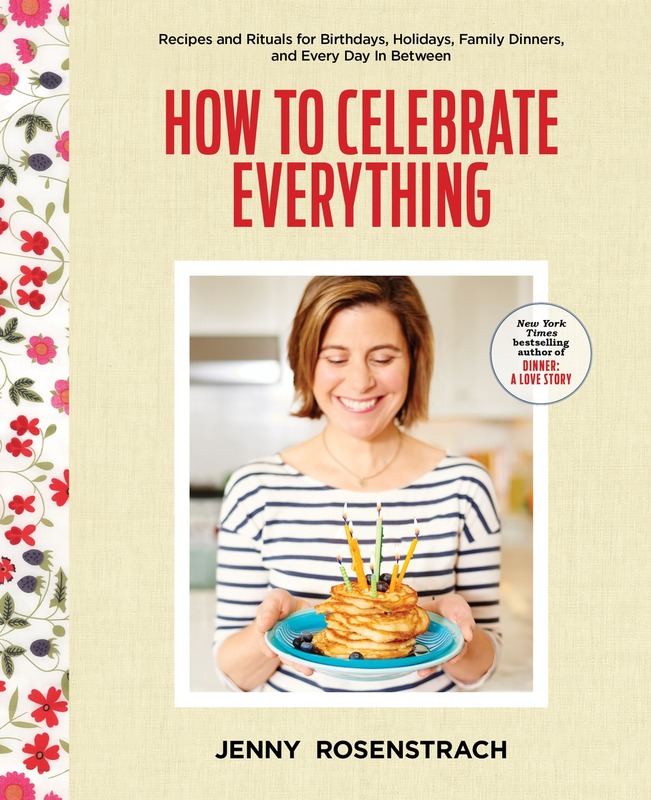 Now I want to know the perfect way to cook quinoa! Also – REFINED or UNREFINED coconut oil!? THANKS! Fries and a McDonald’s sundae (strawberry or fudge depending on the mood) were my elixir growing up! I’m still a little in awe of you giving up your weeknight cocktail. With a 4 year old and 1 year old, and a recent oppressive heatwave in Chicago, 5 pm cannot come soon enough most days so I can crack open a Modelo. Finally, validation that French fries dipped in a strawberry shake is a delicious combo!!! I’ve been touting this for over 50 years, mostly falling on deaf ears…. I believe the cold-weather elixir is hot chocolate and buttered toast. Tried the “jammy egg” following instructions exactly and did not wind up with a perfect egg. Very runny yolk and filmy white. Do you think Denver’s high altitude could be the problem? Bonnie, so sorry! Here is the reply from Chris Morocco: “For SURE. Water boils at a way lower temp at altitude because of reduced air pressure. I can’t say how much longer exactly she needs to go but it is longer for sure.” Sorry it doesn’t give you exact instructions, you might have to experiment a little, but at least you know that is officially the problem. Hope that helps. Have you ever heard of Tajin? It is a Mexican seasoning with flavors of lime, chiles and sea salt. 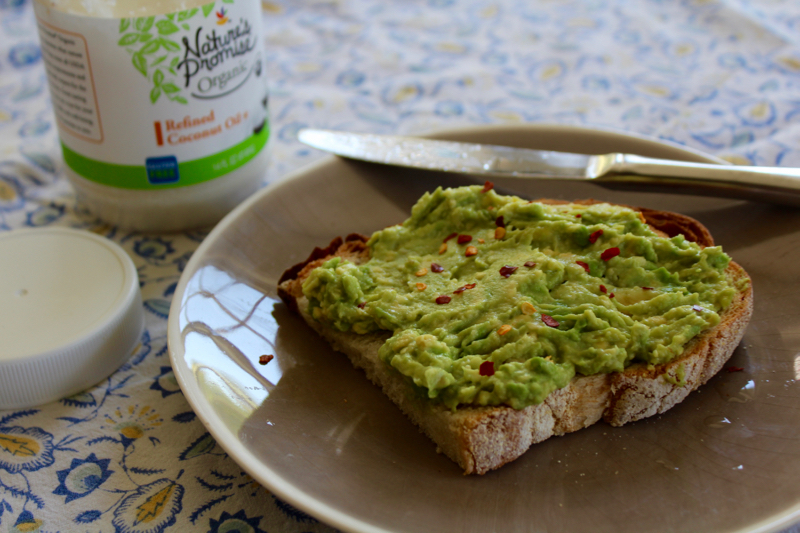 It is SO GOOD sprinkled on avocado toast!!! So restrained, with coconut oil under the avocado! The ultimate decadence, to me, is salted butter swiped on the warm toast before layering avocado atop. You say to save cans for the pizza stand, but wouldn’t a full can of tomatoes actually work better? Harder to knock over. Brilliant idea, thanks! I love #5! It must be universal feel better food, I’m Australian and have been enjoying this combination in various forms for about 20 years!! Anything from chips from the local shops to home made roast potatoes paired with a takeaway strawberry syrup shake to my own smoothies with sour greek yogurt and raspberries has hit the spot over the years! As long as the chips are piping hot and crunchy and the milkshake is cool and pink it’ll be a success! Love the tips!! I tried the “six and a half minute” technique and I had the best jammy eggs ever. 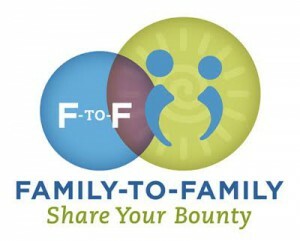 Thank you for sharing these cool tips! Gonna try the rest.